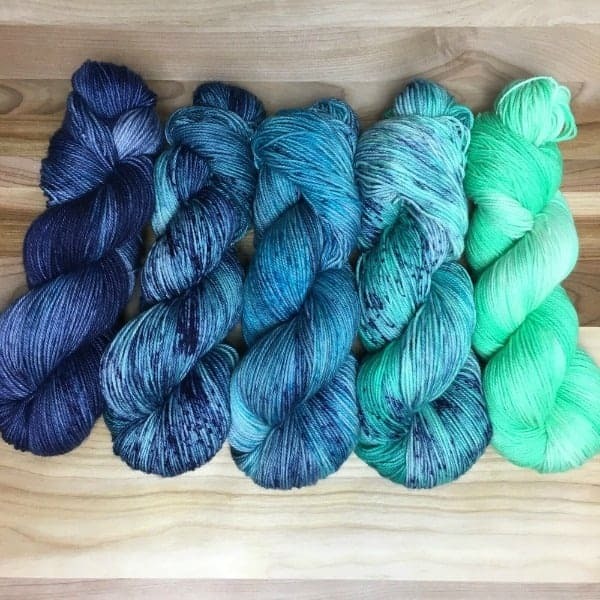 Stephanie from Asylum Fibers has So Faded kits! The pictured kit is available for preorder, expected to ship on or before May 16th. Stephanie also plans to come up with some Chaos, AKA OOAK kits, to make your Fade even more unique. 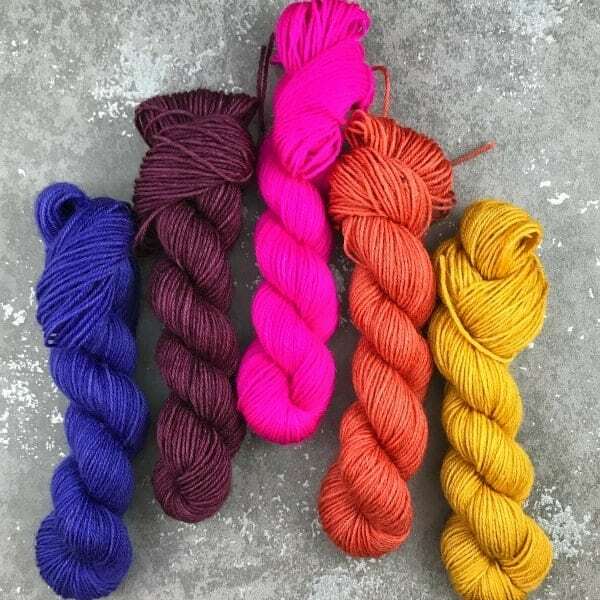 Melanie of Go Knit Yourself has curated two sets of eye-catching colors for the Joji MKAL, available on three bases, and today is the LAST DAY you can order them. If you’re in the mood to knit something a bit smaller than a 72-inch rectangle, she’s also offering her super popular sock yarn sets with coordinating mini skeins. If you’re a fan of Game of Thrones, Harry Potter or saltwater taffy — who am I kidding, you probably love all three — then you’re in luck. Katy of Wool & Two Sticks has mini-skein kits for GoT, Marauder’s Map HP-themed kits with a special stitch marker and a set inspired by the Phat Fiber Cupcakes & Candies theme. 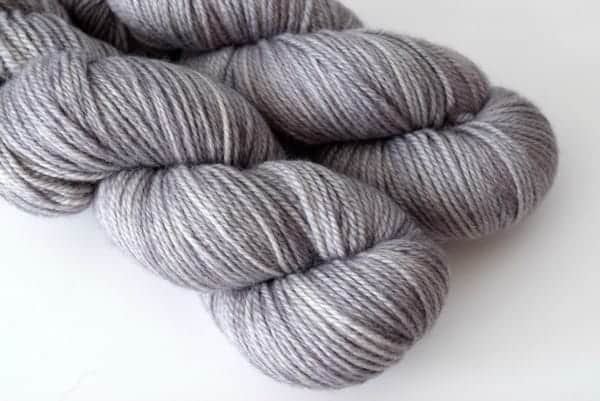 If you’re a fan of grays, you might want to scoop up these skeins of The Woolen Rabbit BFL/silk before they wander into my stash. 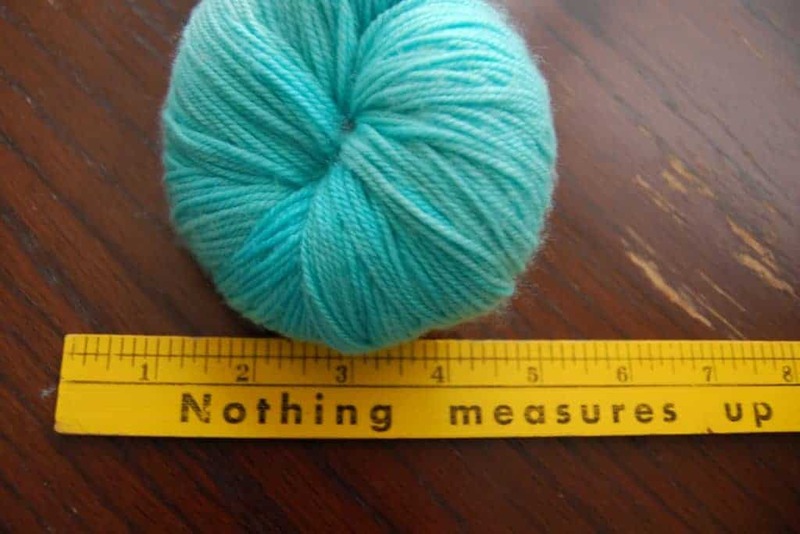 There’s just one skein left (!) 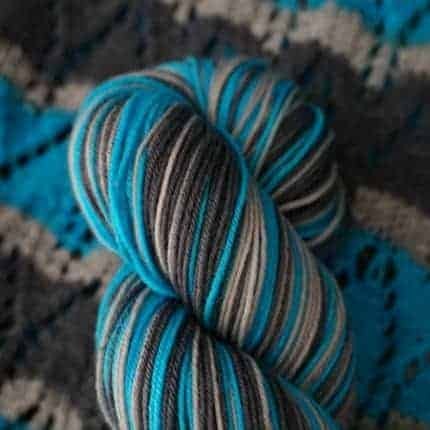 of Michelle’s exclusive Indie self-striping colorway and only three more days to get 10% off said skein, as well as yarn from The Woolen Rabbit, on Indie Untangled with the code IU3.